It is amazing how Dairy Queen has changed me. All these years later I still look for certain things in restaurants as a result of the lessons I learned at the good ol’ DQ. I always look at a restaurant to see how involved the manager is in the work the staff are doing. That is a result of this week’s lesson – the lesson of hard work and humility. I like to believe I was always a hard worker, and at the DQ as I learned things I would work as hard and fast as best I could. So the lesson to day isn’t that I learnt how to work hard, it’s the context in which I saw hard work and the humility that came with it that impacted me. Now I’m not sure what comes first humility and then the ability to do hard work, or hard work results in humility. I’m not sure it matters however for me the two are inseparable. When I started at DQ I washed a lot of tables and food trays. I changed garbages and cleaned washrooms. NO matter how busy the store was I was the one who would do that it seemed. Well it seemed that way until I started learning a lesson in humility and hard word. Now you might remember that when I started at DQ I was only doing 3 hour shifts once a week. I did a lot of table cleaning, changing garbages, cleaning washrooms, and washing dishes. It was the nature of the beast so to speak. I’m not sure when it was that I experienced what I’m about to describe, but it was something I would experience repeatedly over and over again. The owners of DQ were B and G. They were two guys who had owned the Sherwood Park Dairy Queen on Brentwood for a long time and had recently opened up the Wye Road store. For those who live in Sherwood Park you might not know that the Baseline DQ is a relocation from the Brentwood DQ. B and G were two people I met on my first shift if I remember correctly. They always seemed to be around. That doesn’t mean they were working though…. I know owners who stand around and visit and never lift a finger. But, that was not the case for B and G.
I don’t remember exactly when it was, but it was during an evening supper rush as best as I can remember. The supper rush would usually start around 5:30 and could run for an hour some days. Sometimes it was a simple trickle of people and other times it could be an overwhelming flood and seem impossible to keep up with – at least for a new guy like me at the time! I grew to love the supper rush as it meant the shift went by faster and it started to just seem fun as I knew what I was doing. IT became a game to me to get things done faster, to make sure we had everything we needed cooking, and to get the food out to the customers. During one supper rush I noticed something. G was out front cleaning tables. That was supposed to be my job. I’m sure I wondered if I would be in trouble for missing it. I mean the owner was doing what I was supposed to be doing. But the longer I worked there the more I noticed it…. B and G were hands on in running the store. They would work anywhere and everywhere doing what was needed. It amazed me as I watched these two honors change garbages, wash tables, do dishes, and pick up garbage. Nothing was beneath them. They worked hard and they were humble. They could easily get someone else to do things, and at times they did. But other times when things were running smoothly they had no arrogance that they ‘had to do it’ and would just get to work doing what was needed. I clued in. Hard work is not about how much you do or how difficult the work is that you do. Hard work is about the energy you expend and the humility with which you approach the work. Now I’ll be honest. As I worked at DQ I got good at my job, and I eventually became a shift supervisor and finally an Assistant Manager. Not to brag, but I was fast and efficient at my job. B and G would start to ask me what I needed when I was working and where they could help. That was great not only were they willing to work hard they were willing to let their staff lead them and ‘run the show’ so to speak. When B and G didn’t ask, it could become a mess. B would sometimes go and work the drive thru and was known for slowing the staff down with how meticulous he was. I remember one time G decided to help out in an area that myself and the manager were running and were running well. T, the manager, said to me, “let’s go on break” right in the middle of a rush. He figured if G was there he wasn’t going to waste his time trying to get things done the way they needed to be. G wasn’t always helpful. But he was always willing to work. G knew that. There were times I would come into work and he would ask me to take over what he was doing as I was faster than him. I was always happy too and G always went and found something else that needed doing. Eventually I became an Assistant Manager and I didn’t need to be cleaning washrooms, changing garbage bags in cans, or cleaning off tables. There were staff there for that and for the most part I let them do that. But I also made sure I took my turn doing everything so the staff would see nothing was below me and I was willing to work hard. If I was willing, then they should be too. I remember one day a child had thrown up in the dining room and the new staff member was tasked with the job of cleaning up the sizable mess on the floor. As he started to get the mop bucket and go up front I grabbed a mop and told him we’d do it together. The staff were watching me. The kid looked positively stunned that his boss was willing to clean up puke. I had learned at DQ that no work is below me. Working is a privilege and to me now, working is God’s provision and nothing is below me because work is a blessing. This lesson has stuck with me in ministry as I pastor churches. I am always willing to clean up a mess if needed, to stack tables and put away chairs, or even to help with property renovations (except the roof…. You won’t get me on a roof! I’m a little too accident prone for that!). I’m thankful I learned that every person, no matter who they are can work hard and do so with humility. I believe it changed who I was. IT certainly contributed to me being at DQ for eight yeasr – I realized nothing was beneath me. 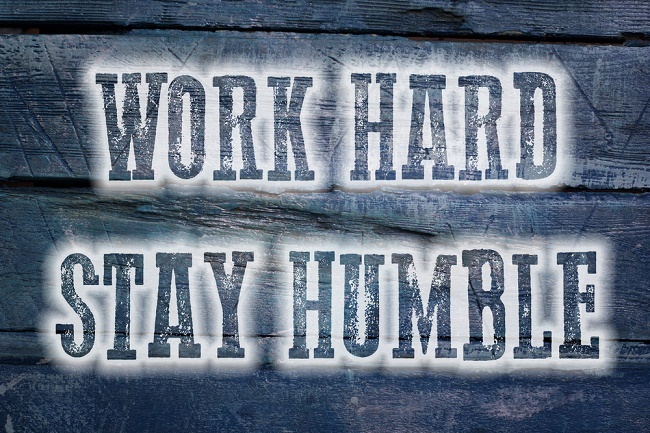 Today, no matter what work I am doing I still hold to that – work hard and be humble. 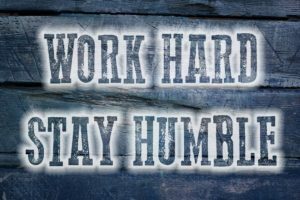 Work is a blessing to have, and humility is essential to being successful at work. Thanks to the good ol’ DQ for teaching me that lesson.